Welcome to V. J. 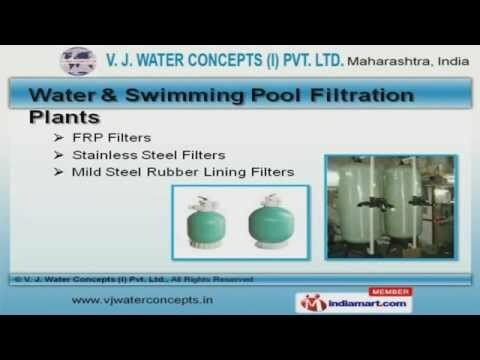 Water Concepts India Private Limited, Manufacturer and Supplier of Water Purifier and Treatment Plants. The company was established in the year 1999, at Mumbai. Our products are applicable in Homes, Hotels and Hospitals. Apex Hospitals and Airport Authority of India are some of our prestigious clients and we are backed by Cutting edge technology and Total client satisfaction. We offer a vast range of Mineral Water, Water and Sewage Treatment Plants. Our Water and Sewage Treatment Plants are best in the industry amongst others. We offer Water and Swimming Pool Filtration Plants that are a class apart. Mineral Water Plants offered by us are nothing but the best solution for all your needs. We are specialized in manufacturing Water Testing Lab Setups. Along with that we offer Carbonation Soda Plants are superior in performance.